Contrary to what you see on Facebook, TV and across blogland, there is another holiday before Christmas… poor, neglected Thanksgiving. 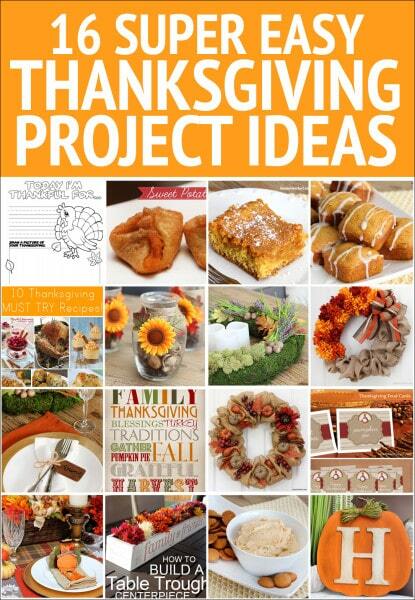 So to make up for it, I’m sharing 16 of my favorite Thanksgiving project ideas with you guys today. Don’t worry, they’re all super simple and can easily be created this weekend (plenty of time before November 26th!). CANDLE HOLDER CENTERPIECES: I created 6 of these for under $13. 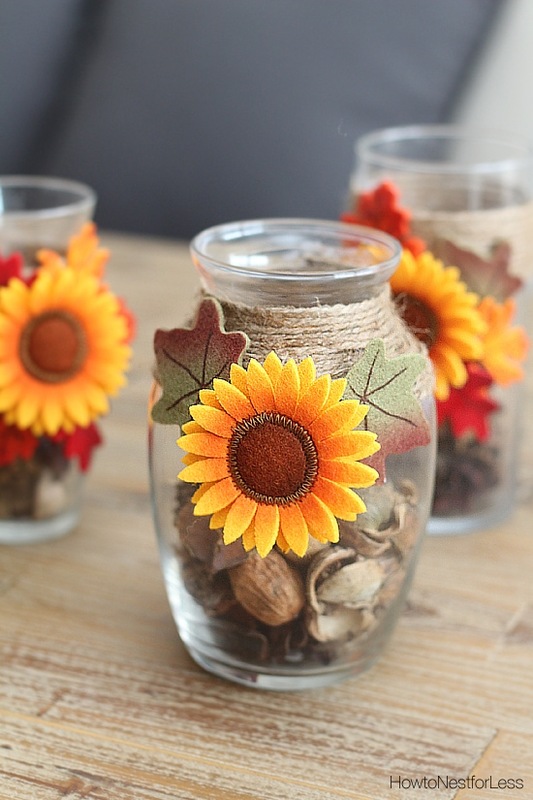 Adorable to scatter around the home or clump together as a large centerpiece on the Thanksgiving table. Kids will love helping create these too! 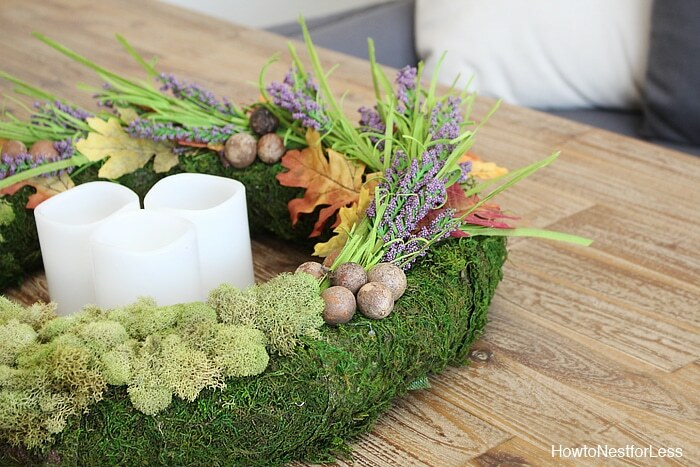 MOSS & FLOWER CENTERPIECE: This gorgeous centerpiece can also double as a wreath. Gotta love that double duty crafting! 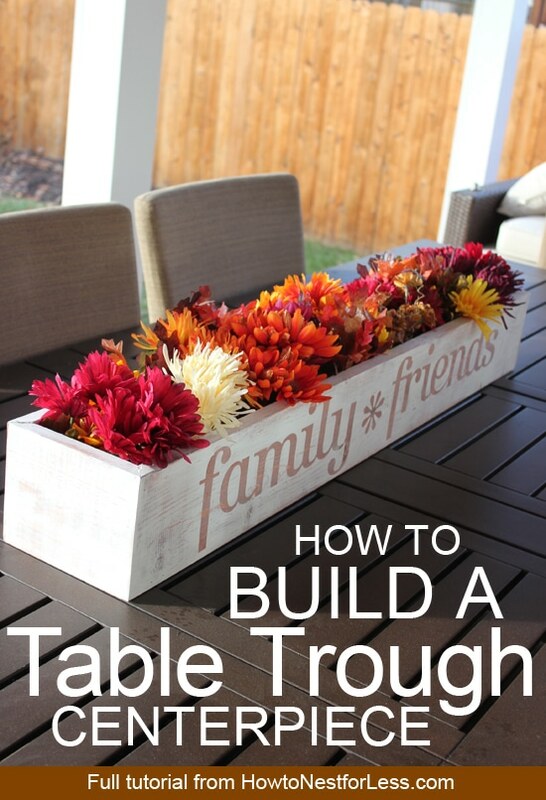 TABLE TROUGH CENTERPIECE: This is the perfect starter project using a compound miter saw. Plus I love that you can fill it with different flowers for each season! PLACECARD NAPKIN RINGS: I can’t even begin to tell you how easy and inexpensive these are to make! The tags are about 25¢ each from your local craft store. 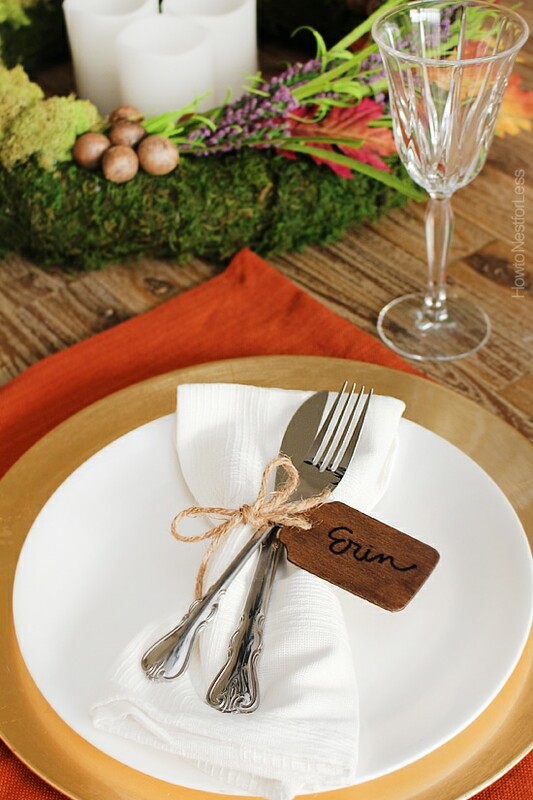 Just paint or stain, then write the name of your guests. 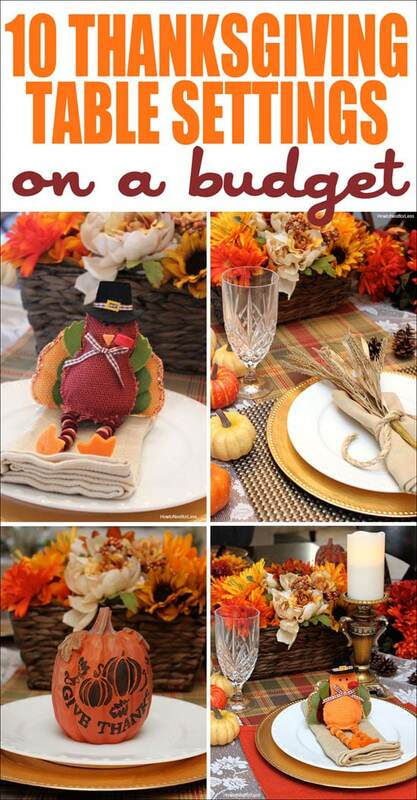 THANKSGIVING TABLE SETTING IDEAS: Fantastic ideas to take your Thanksgiving table to the next level on a budget! THANKSGIVING SUBWAY ART: Perfect décor for the season. Just print and frame. Great for any small console table or kitchen counter to add a splash of color! 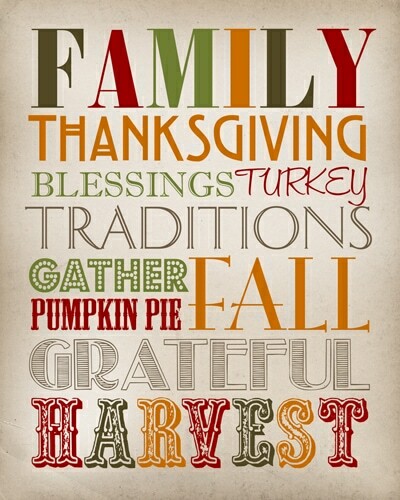 THANKSGIVING PARTY PRINTABLES: Love this idea. 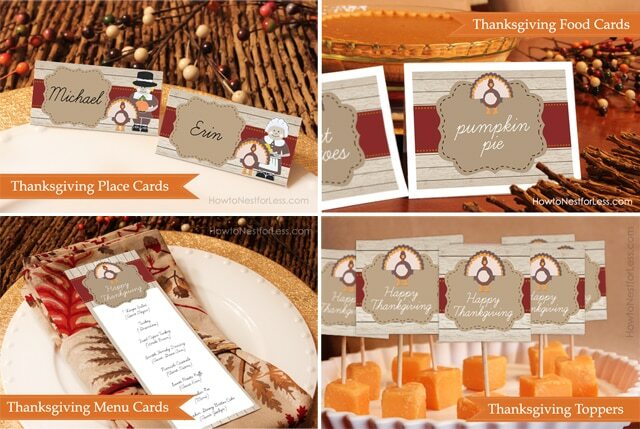 Add food cards, menu cards, toppers and place cards to your Thanksgiving dinner table this year! KIDS THANKSGIVING COLORING PAGE: Because we all need something to keep the kids busy this year! 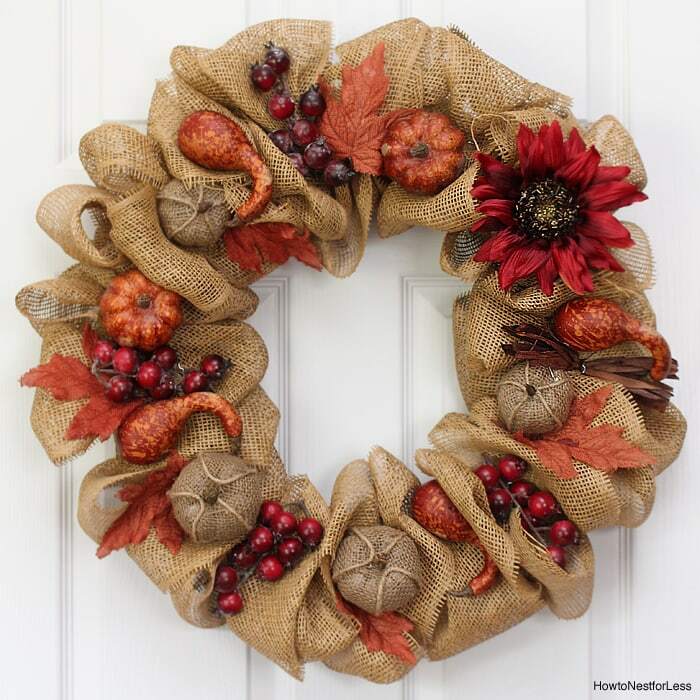 THANKSGIVING PUMPKIN & GOURD WREATH: This wreath can take you from September to November. Plus I bet you can get all of the supplies on clearance right now! 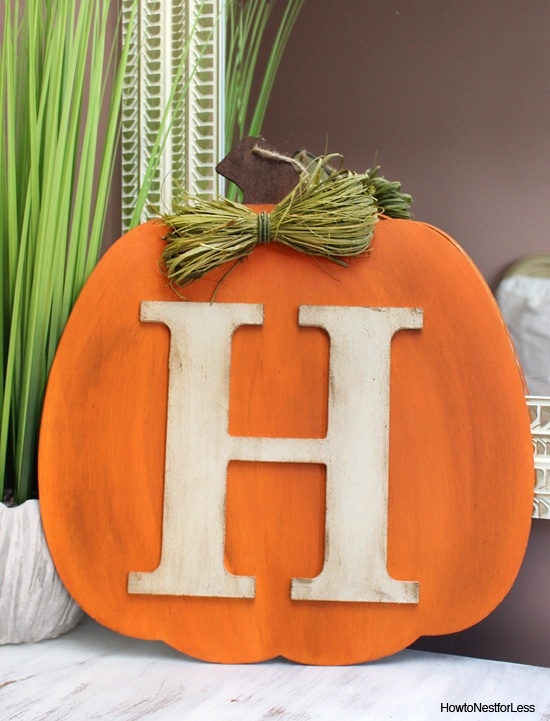 PUMPKIN MONOGRAM WREATH: Perfect way to welcome your guest to your home this year! 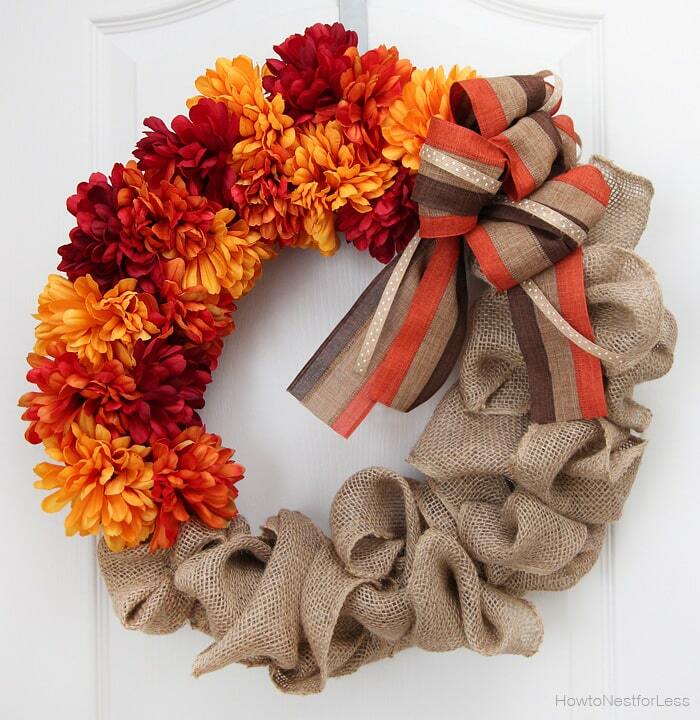 FLOWER AND BURLAP WREATH: Love the bright Fall colors on this one mixed with the burlap and ribbon. Stunning, right? 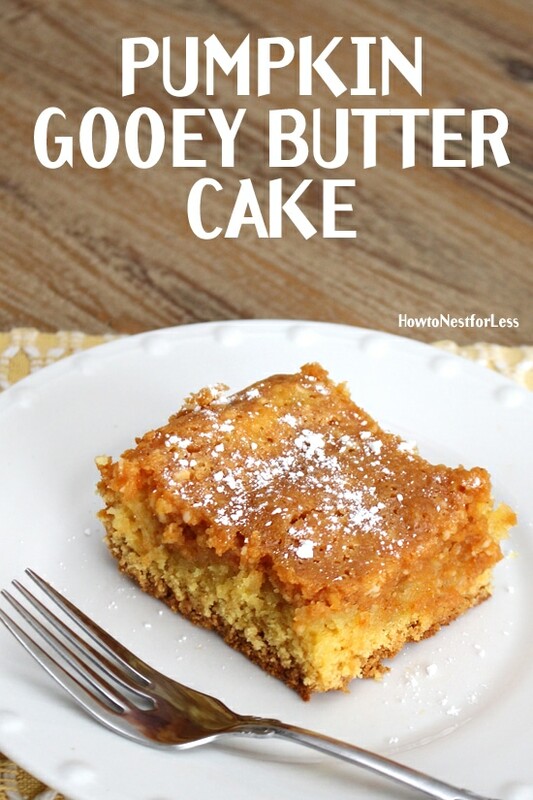 PUMPKIN GOOEY BUTTER CAKE: Ok, now we’re getting to the good stuff. Challenge: make this and your normal pumpkin pie and have your guests vote on their favorite. I think I know which one will win. 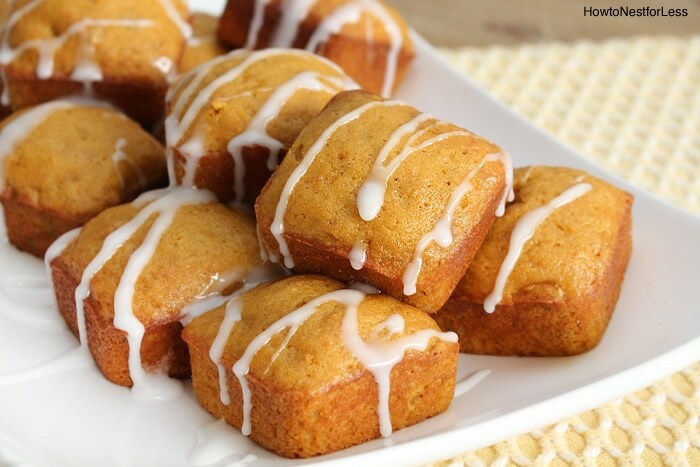 PUMPKIN WALNUT MINI CAKES: Because they’re small, you can probably get away with eating this for breakfast. Shh… I won’t tell anyone it’s actually a dessert. 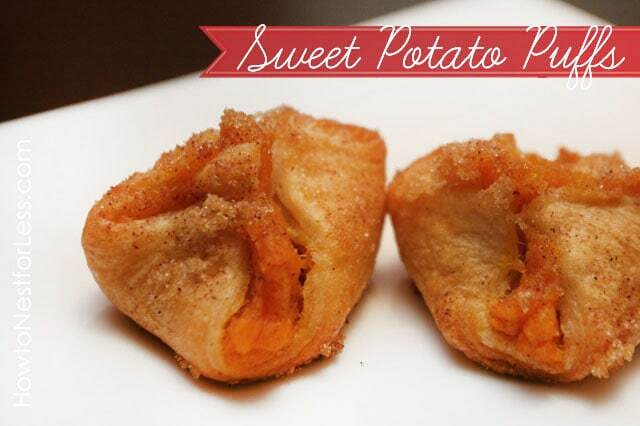 SWEET POTATO PUFFS: Even if you’re not a huge fan of sweet potatoes, try this recipe. Great as an appetizer, side or even a little dessert with a cup of coffee after Thanksgiving dinner. 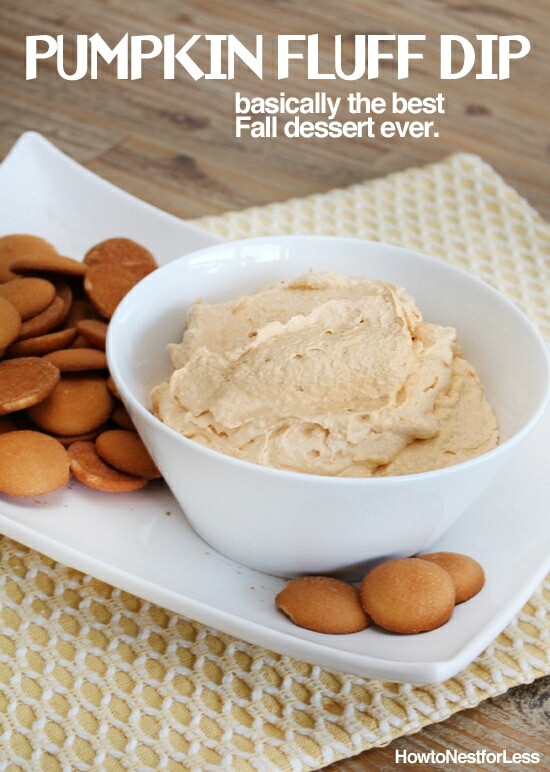 PUMPKIN FLUFF DIP: Looking for something easy to make with that extra can of pumpkin this year? Tryst me, this one will not disappoint. 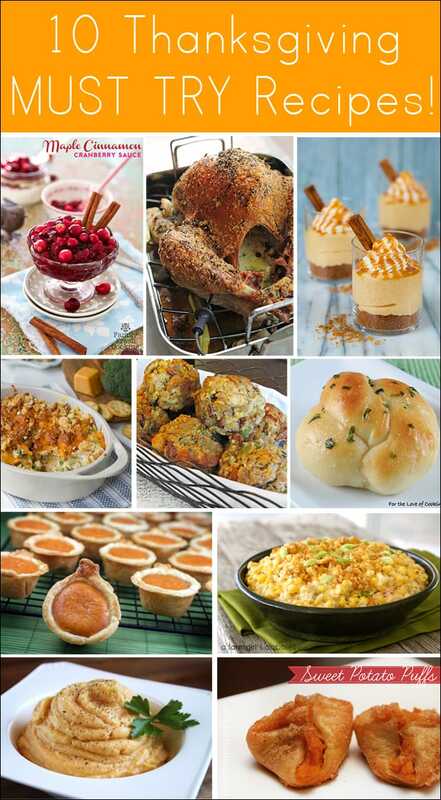 10 THANKSGIVING MUST TRY RECIPES: And if you’re still searching for the perfect sides or stuffing, check out some of these other amazing recipes from around the web. So which project are YOU going to tackle before Thanksgiving? A food, craft, centerpiece, wreath? One of each? Or have you moved on to Christmas already? While I’m starting to work on Christmas things, I wont decorate for it until after Thanksgiving. I’m thinking I’ll print the coloring page for my kids even though they’re grown and any other guests that want to join in the fun. 🙂 Then I’m going to have the Pumpkin Fluff on hand (love that stuff!). I love Thanksgiving. I hope it never becomes commercialized!